Central America is a place of great beauty and much poverty. The economy is based on agriculture and tourism and there is a strong unevenness in the income distribution. 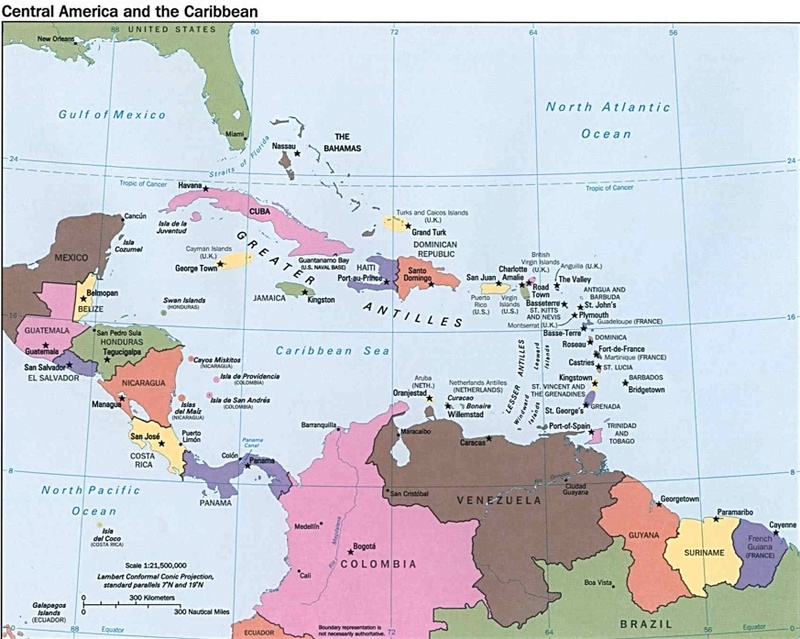 Central America joins South America to North Americaand the Caribbean. 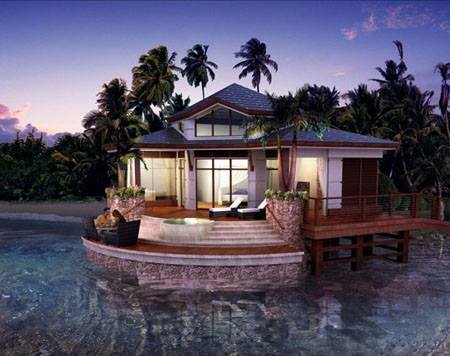 The Caribbean Sea comprises of islands, reefs and atolls. Some are territories of France, United Kingdom and The Netherlands. Is a small volcanic island, discovered by Columbus in 1502. A place with unusual landscapes and beautiful beaches. Saint Lucia gained independence from the United Kingdom in 1979. Cuba is one of the last communist countries of the world, and has an abundance of natural resources. The economy is based on sugar, tobacco and tourism. Today the country struggles for basic needs for its 11 million people. Cuba is made up of about four thousand islets. There are more than 300 beaches of white sands and clear waters, including Varadero, Holguín, Cayo Largo del Sur, Ciego de Ávila and Villa Clara. Guadeloupe is made up of nine islands in the Caribbean Sea, with an area of 1,780 square km. It was discovered by Columbus in 1493 and is French Goverened. Guadeloupe has calm beaches and interesting diving spots. The population of 435,000 lives mainly from tourism and agriculture and enjoy the benefits of an increasing number of cruise ships that visit the islands every year. 7 Night E. Caribbean Cruise on the Norwegian Epic from $479.